What on earth is LTE? The initials stand for Long Term Evolution but the term sounds more akin to anthropology than technology. Network engineers tend to talk around the phrase rather than define it. Many (particularly marketers) equate LTE with 4G, as if they were identical terms, but that’s not accurate either. To compare 4G with LTE would be like describing a stop (4G) along a long journey (LTE). 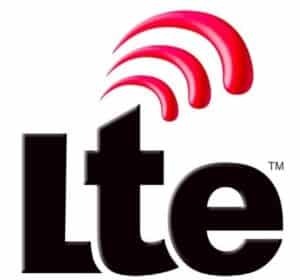 LTE is a wireless broadband standard developed by the 3rd Generation Partnership Project (3GPP), a trademarked name, overseen under the auspices of the European Telecommunications Standards Institute (ETSI). LTE is not so much a technology but rather the means to achieve broadband speeds in wireless mobile devices comparable to hardwire Ethernet speeds found at work or home. It applies to a variety of wireless protocols and is backward-compatible with Global System for Mobile Communications (GSM or 2G), Code Division Multiple Access (CDMA or 2G/3G) and High Speed Packet Access (HSPA or 3G) technologies. 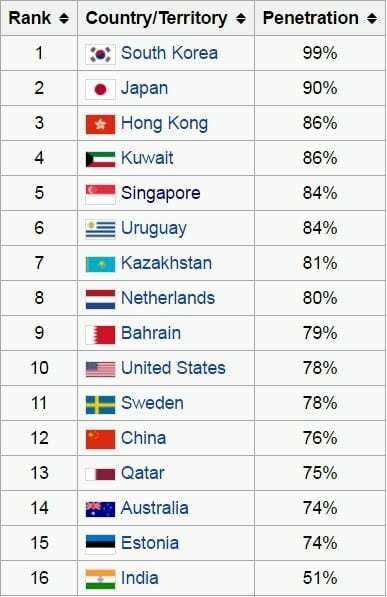 LTE broadband speeds are generally considered as 100 Mbps down and 50 Mbps up. Note that LTE is deployed on different frequency bandwidths viz the following blocks: 1.4 MHz, 3 MHz, 5 MHz, 10 MHz and 20 MHz. The bigger (e.g., faster) the bandwidth, the bigger the capacity. Legacy wireless technologies such as CDMA or GSM took up much of the spectrum when LTE was first deployed but the transition has increased apace in recent years as penetration of mobile devices and network congestion has increased. Before LTE technology came into widespread usage, forward-looking mobile devices actually had LTE capabilities. Thus carriers marketed their networks as “4G LTE,” allowing them to assert next generation connectivity without actually reaching the required speeds. Thankfully, this subterfuge is no longer an issue in most metro areas as wireless networks with true LTE speeds have penetrated these markets. In March 2008, the radio sector of the International Telecommunication Union (ITU-R) established 4G or the fourth generation of mobile data technology standards. It stipulates that all 4G services comply with speed and connection specifications. Although this was less than ten years ago, upload speeds of 100 Mbps over mobile devices then was unprecedented, as was the 4G standard for wireless access points (WAPs) to handle at least 1 Gbps. This level of connectivity gave wireless technology developers a finite objective to reach. In fact, wireless technology has advanced to the point where 3G performance can now be called 4G. As marketers ran amok with 4G claims, bandwidth speeds achieved in the lab invariably fell far short of performance in the field. So along comes LTE Advanced (LTE-A), which is everything LTE was originally envisioned to be. According to pcworld.com, in 2014 4G networks were delivering an average of 13 Mbps up, which of course is a lot less than the 100 Mbps the standard calls for. Theoretically, LTE-A is supposed to deliver speeds as high as 3 Gbps for WAPs — speed that will hardly ever be realized if at all in the “real world.” LTE-A also provides better “handoffs” between cells, resulting in fewer dropped calls. Too, it crams more speed into the same bandwidth, allowing more users to access the network simultaneously while using noncontiquous frequency ranges to reduce network congestion. LTE-A achieves greater performance in part by aggregating carrier bandwidth to a maximum speed of 100 MHz. Beyond carrier aggregation (CA), LTE-A makes better use of multi-antenna functions (think MIMO) and support for Relay Nodes (RNs) for enhanced coverage at cell edges. Another advantage of LTE devices is their longer battery life, made possible by more efficient interfacing when uplinking and downlinking. One of the more recent developments is Voice over LTE or VoLTE. This refinement delivers voice as a data flow within the LTE data bearer while making more bandwidth available since VoLTE has smaller packet headers as compared to unoptimized VoIP/LTE. First unveiled in Singapore in May 2014, Verizon and AT&T followed by allowing VoLTE-to-VoLTE connections between their respective subscribers the following November. Marketed as ‘HD Voice’ by Verizon and European carriers, VoLTE utilizes the Adaptive Multi-Rate codec, providing better quality speech encoding and clearer sounding voice calls. It embodies the purpose underlying LTE, namely the transition from hybrid voice/data networks to data-only. Verizon Wireless is generally considered by most to have the best network in terms of network reliability and call performance in the U.S. (although according to Consumer Reports they were overtaken by T-Mobile in 2015). One of the reasons why is because Verizon, starting in 2010, was the first of the big four American wireless carriers to invest heavily in LTE technology, and it shows when comparisons are made between the carriers’ up and down speeds. Once Verizon went all in on LTE, it began using 10 MHz wide channels for 750 MHz. After acquiring reallocated spectrum from cable companies and other entities, Verizon introduced a second LTE pipeline using mostly 15 MHz or 20 MHz channels. Running a decent second in LTE speeds and call quality (and better pricing, customer service and no-contract plans) is the aforementioned T-Mobile. Like Verizon it too is implementing wide channel Advance Wireless Services (AWS-1) spectrum as it replaces Multipoint Multichannel Distribution Service (MMDS aka Wireless Cable) in the 2150 to 2162 MHz band. Thanks to AT&T’s failure to acquire the company in 2011, T-Mobile was allocated AWS spectrum allowing the ability to roll out LTE whilst operating its HSPA+ network simultaneously on AWS. Through spectrum license swaps and acquisitions (notably MetroPCS), T-Mobile is well on its way to reaching 20+20 MHz (40 MHZ) carrier size in all top 25 U.S. markets. Where channel bonding (e.g., 20+20 MHz) isn’t feasible, the company will use LTE-A carrier aggregation. A distant third is AT&T Wireless. The company’s LTE channel sizes are 10 MHz in most markets but 5 MHz in others. Given its huge subscriber base due to the brand identification built over a century, these channel sizes aren’t nearly enough to support its subscribers. Thus their wireless network suffers from slower speeds and connectivity problems. In fairness, AT&T has increased capacity by its acquisition of Qualcomm and its allocated spectrum. Since AT&T uses an HSPA+ network in conjunction with its LTE network, call handovers between networks are by design much smoother than those between CDMA2000 and LTE. One problem plaguing dual mode phones (e.g., LTE and a legacy technology) is that when both modes remain active, the phone’s battery life is shortened drastically. Even though HSPA+ allows simultaneous use of data and talk, the fact remains that LTE devices default for LTE connectivity. Since LTE signals are less than robust in most of AT&T’s LTE zones, the phone’s battery life is adversely affected by the constant switching between LTE and HSPA+. The solution, as other carriers have found, is to enable passive dual-mode operation that establishes a connection on one network and only hands over the connection should the signal on the current network weaken or terminates. Playing catch up to the other big three is Sprint; for years their network speeds consistently lagged behind that of their competitors. Sprint has suffered from the same dearth of LTE channel sizes as AT&T, using only a 5 MHz channel nationwide. But thanks to its acquisition of Clearwire, Sprint has added capacity to its network from the addition of 20 MHz channels. Now Sprint has over 200 MHz of spectrum across most of the U.S. Most of the added capacity is used for Sprint’s LTE on 2.5 GHz. Also, Sprint is using carrier aggregation to widen to 40 MHz and 80 MHz channels. Sprint remains saddled with intrinsic network issues, namely its reliance on CDMA/LTE, which has low compatibility with more widely used GSM/HSPA+/LTE technologies. Now that Verizon has effectively ditched CDMA for VoLTE, Sprint is stuck with LTE frequencies that don’t match up with other carriers’ LTE frequencies. Don’t look now but another stop is just ahead in the long journey. Are you ready for 5G? Behemoth equipment manufacturer Ericsson announced expected delivery of 5G phone networks in 2017, three years ahead of the deadline for 5G standardization. Given that 5G standards have yet to be finalized, it appears the Swedish company is firing a shot across the bow of competitors such as Nokia and Huawei to define the latest evolution’s capabilities. Hanging in the balance are potentially billions of dollars in licensing fees, patent royalties and intellectual property rights. What is Voice over LTE and How Does It Work?